From Sentab drive to yurt camp, 120 km. Arrival to yurt camp and accommodation in a yurt. Short camel back riding. Dinner around the fire with folk performance (included). Free at leisure time. You may explore desert, drive to Aydarkul lake. Lunch pick nick at the shore of Aydarkul Lake (included). Drive to Bukhara via Nurata town. Visit ruins of Alexander the Great fortress and Chashma Mosque. En route visit petroglyphs. Arrival to Bukhara in the evening. Sightseeing tour of Shahrisabz: Dorus Siadat: the Jekhangir Mausoleum (14c), Tamerlane's vault (15c). Continue to Samarkand. Arrival and accommodation at hotel. 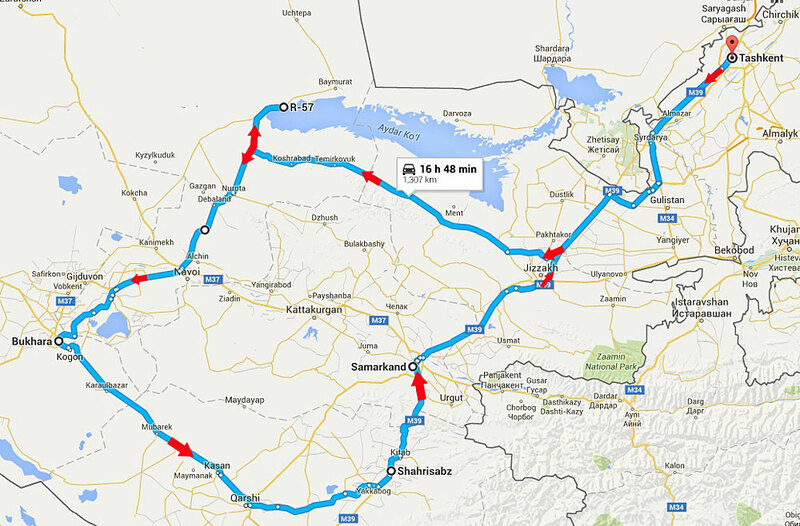 Drive to Samarkand. Distance 310 km. Arrival and accommodation in hotel.